More on the Winsome Wood Ryan Wine Cabinet with Glass Door 92522 below. A single, glass door, allowing tidy, concealed wine storage. 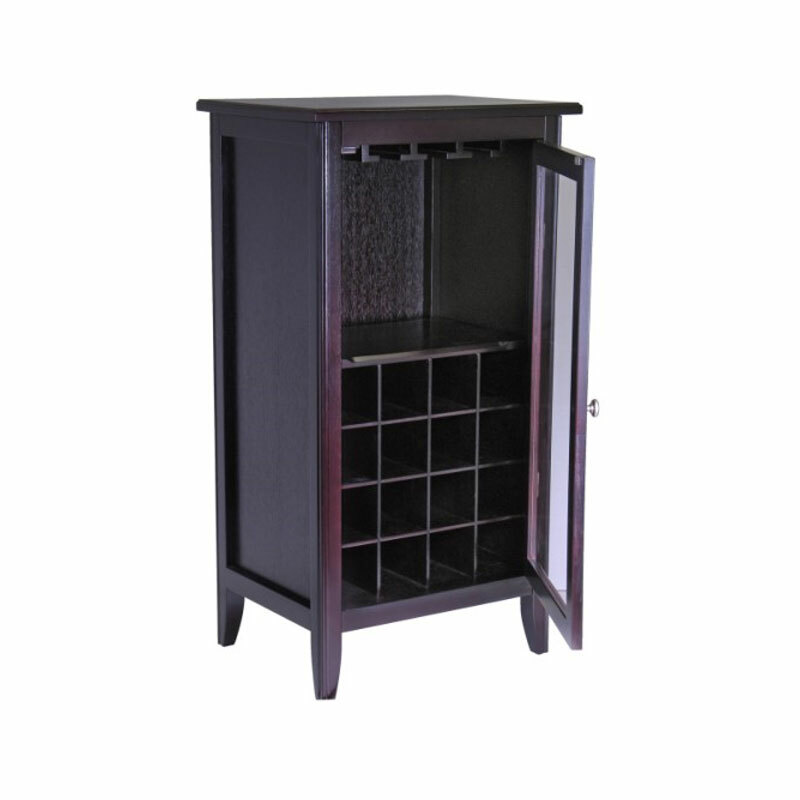 Slotted wine racks for up to 16 standard bottles. 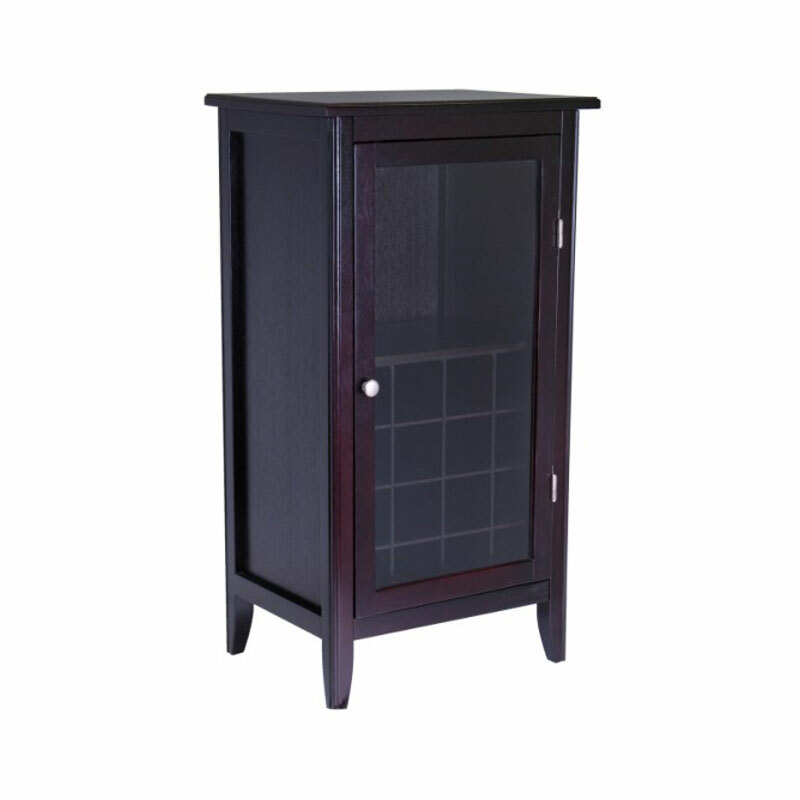 Additional open storage for liquor bottles, ice buckets, wine books and glasses.